The company that created and manages the Parent Portal program offers the AERIES MOBILE PORTAL APP for use on your phone and tablet. You can see it mentioned at the bottom of the Parent Portal log in screen for iPhones and Android phones. At this time, the APP DOES NOT WORK with our WVUSD Parent Portal. Our school district techs are working with the company to get the AERIES app working as soon as possible. When the app is working, the notice at the top of this page will change to alert students and parents. Please note that in the past, families were able to use mobile apps created by other companies. Those apps no longer work and are not supported by the company that own Aeries and Parent Portal. STUDENTS: You can now create your Parent Portal account, without the need for a verification code. After you click ACCESS MY ACCOUNT, click CREATE NEW ACCOUNT. You can use your SCHOOL GOOGLE account and password to create your Parent Portal account. Enter your school Google account student ID#@stu.wvusd.org and then click "Sign in with Google". SPECIAL NOTE: If you had a Parent Portal account at Chaparral or South Pointe last year, do not create a new account. Please use the account you created last year. Your account will automatically start displaying Diamond Bar High School a few days before the school year begins. In our effort to give you the most up-to-date information about your child’s progress, Diamond Bar High School, along with the Walnut Valley Unified School District, maintains Parent Portal. 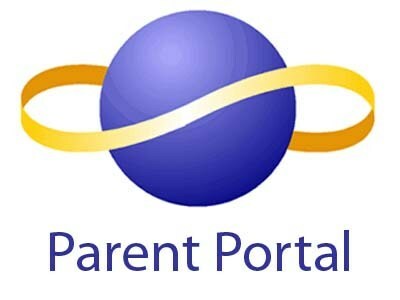 Parent Portal allows parents and students access to live student attendance data, current grades and other information in the student's record. In order to register for access to your son’s or daughter's records, you will need their verification code (available from your grade level coordinator, our registrar, Mrs. Myoung Han, or our technology coordinator, Mr. Thomas), your child's permanent ID number (found on their ID card), the student's home phone number that we have on record and your individual e-mail address. Download the file titled "How To Create Parent Portal Account" below for directions. When you sign up for an account, you will be asked if you are a parent or a student. Both parents and students have access to the same information. It is important to select the correct response so that our records properly reflect student and parent e-mail addresses.